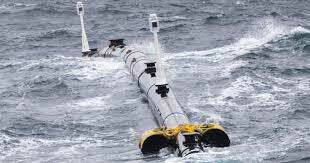 Washington, Oct 16 (IANS) A 2,000 foot-long floating pipe nicknamed “Wilson” is slated to begin its mission to collect all the plastic in the middle of the Pacific Ocean. Last month, the Ocean Cleanup foundation launched the world’s first ocean cleanup system out of San Francisco to take on the notorious “Great Pacific Garbage Patch”, a giant floating trash pile between San Francisco and Hawaii that is twice the size of Texas, CNN reported on Tuesday. It’s the largest of five ocean trash piles on Earth. The pipe, which is in the shape of a U, features a 3-metre deep net underneath it to trap floating plastic under the water’s surface. A boat will return to the spot every few months to remove the debris — like a garbage truck for the ocean — and return it to shore. The goal is to recycle the plastic and create new products. With about 150 million tonnes of plastic in the world’s oceans — and that number expected to triple in the next decade — this type of trash disposal has real implications for climate change, the safety of sea life and industries such as fishing and tourism. It can also affect our health if plastic ends up in the food we eat. “That plastic is still going to be there in one year. It’s still going to be there in ten years,” CNN quoted 24-year-old Ocean Cleanup founder and CEO Boyan Slat as saying on Monday. The Ocean Cleanup team has been researching and testing the pipe for the past five years. In 2013, the project raised over $2 million through crowd-funding and has since raised over $30 million. The group hopes the pipe will collect 50 tonnes of trash by April 2019 and clean 90 per cent of the world’s ocean plastic by 2040.